5. Moya F.E. 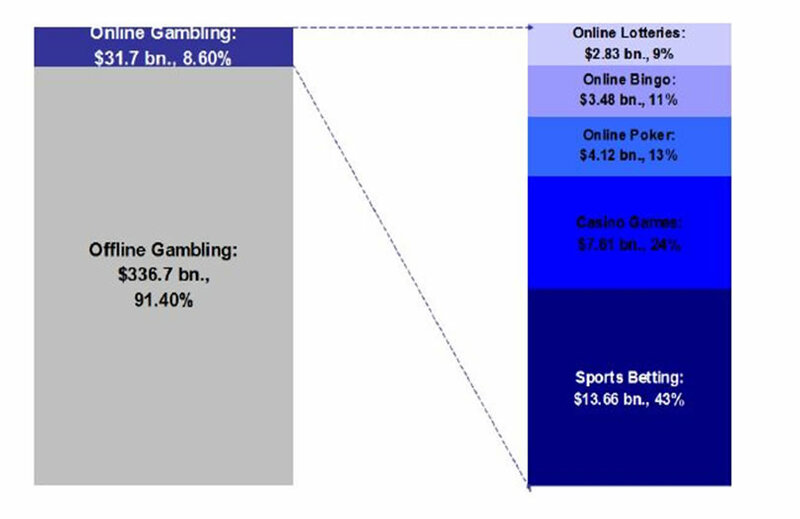 “Statistical Methodology for Profitable Sports Gambling”. It seems that Lionel Messi is accused for tax evasion starting from 2007 to 2009, with the help of a specialized company which has bank accounts in Belize, Uruguay and Switzerland. New details appeared in this case for tax evasion in which it involves Lionel Messi and his father. The Swiss press discovered a mailbox which belongs to the Spanish star from Barcelona. His ex financial councilor turned him down to authorities. Meanwhile, Messi’s image suffered a lot. It`s the first scandal in which is involved one of the best football players in the football history. Everything started in 2005 when Messi started a lot of money in Barcelona. His father hired Rodolfo Schinocca to take care of his financial issues, but the contract was terminated in 2006 and Messi’s family accused Shinocca for embezzlement. Messi sued him and won. It remains unkown if Messi knew about the 730 000 CHF fraud which bypassed the taxes from Spain. If he would have known, the Spanish football player would have been imprisoned between two and six years! 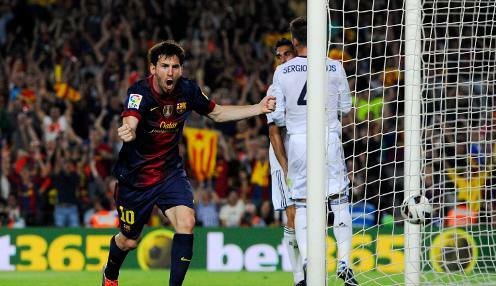 The Swiss press claims that if Messi admits what he has done, we won`t go to jail but he will have to pay a big fine. “We did not commit fraudulent actions and we have paid our taxes as our financial company advised us. We will soon clarify the situation”. If Messi will be guilty, he will join other football players such as Maradona, Boris Becker or Steffi Graf who had similar problems. About 4,5 million euros is the prejudice estimated by prosecutors. Messi earns annually approximately 19 million euros from publicity and Barcelona is paying 15 million of the sum. Normally, Messi could be imprisoned between two and six years or he may risk to pay 24 million euros for justice, six time the prejudice. In Spain, sums lower than 125.000 euro is sanctioned with only a fine. Jose Mourinho came back to Chelsea, a team which will he will train for the next four seasons after he already worked in Italy for Inter Milano and in Spain for Real Madrid and after he left Chelsea in 2007. In this period, Mourinho continued having success gaining three national titles, two world cups and Champion`s League in 2010 with Inter Milano. The feeling of not being loved is the worst experience in which a man can go through. Mourinho started working happily for Real Madrid. Althogh, as time went by, a lot of mistakes had been made. Mourinho is not the type of person who cares a lot for his mistakes in the past, when he starts something new, he leaves the past behind. Before the match with Chelsea – Inter Milano from Champion`s League, Jose Mourinho said very clearly that before and after the match he loved everybody there, but during the match he doesn`t know anybody there. The portuguese couch broke up at the end of season of Real Madrid, at the end of the year in which he missed all the objectives fixed by the club from Spain. Besides those failures, Jose Mourinho had some conflicts with the most important players of the team, the misunderstandings between the Portuguese technician and the leader Iker Casilas being on the first pages of news papers for many times. At Chelsea, Mourinho will have the chance to conquer a trophy from the beginning of his mandate. The British will play in the UEFA Supercup with Bayern Munchen, team which will be prepared in this summer by Pep Guardiola, the old rival from La Liga. Chelsea in honored to have Jose Mourinho and he will be officially presented at a press conference which will be held on 10th June. 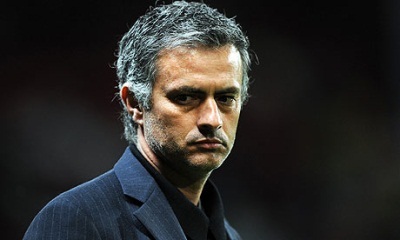 Mourinho will come and cooperate with three people : Rui Faria, Silvino Louro and Jose Morais. Ron Gourlay, the executive director from Chelsea was glad and welcomed back Jose Mourinho to the ex-champion of Europe. One thing is for sure, Chelsea wasn`t the same after Jose Mourinho left it and now everybody is charmed of his return. Jose Mourinho wants Edison Cavani to join Chelsea. The British team already made an interesting offer for buying the striker from Uruguay : 30 million euros plus Fernando Torres. Besides the important sum which will be paid by Chelsea, it is possible that a player will be chosen and borrowed by the new couch of Napoli : Rafa Benitez. Thanks to Edison Cavani in te recent season, Napoli finished second in the A Series. At 26 years old, Cavani scored 29 goals in 34 stages in which he evolved at the last A series edition, making him the principal striker of the Napoli team. 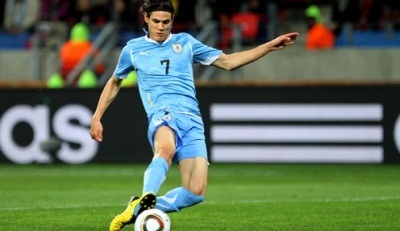 To keep Cavani in their team, Napoli offered him a new anual contract of 7 million euros. In these conditions, the situations of Fernado Torres and Demba Ba are getting more and more complicated, especially that the blues are discussing intensively for bringing Hulk from Zenith St. Petersburg. Remarkable is the interest of some important clubs for bringing Cavani to the new team, the italian press are announcing the beginning of talks between Chelsea and Napoli for the uruguayan football player. The talks are new and an official transfer is supposed to be finished at the end of this week, knowing that some members of the british team already moved to the Peninsula. Cavani is also wanted by other teams like Real Madrid, Manchester City and PSG. Although Napoli requested in summer 62 million euros for Cavani, the british press say that the italians became more realistic, so they decided to negotiate and Chelsea is ready to pay 42 million euros for the football player who stroke 66 goals in two seasons played for Napoli. The uruguayan striker is on the short list of Real Madrid, but Chelsea moved blazing fast and decided earlier for an agreement with the club leaded by Aurelio De Laurentiis. Important to know is that Edison Cavani has an interesting record : 39 goals in 46 matches in the last season and 102 goals in 124 matches in all competitions between 2010 – 2013. I'm likely to presume that you are a significant punter, and you regularly receive soccer betting ideas. Football betting ideas can be really worthwhile when they are employed the correct way. The issue is that some punters in their eagerness to make a revenue by no means cease to concern exactly how football guidelines are devised. Understand if you are receiving info from somebody that you are having to pay cash to, you want them to know what they are undertaking. You want them to have your best pursuits at coronary heart and you only want them to give you football betting suggestions that will let you to make a revenue in the lengthy operate. If you are not paying out to obtain ideas just yet then there is one audio piece of suggestions I can offer you you. The football predictions sector is extremely cutthroat, and some unscrupulous men and women will say what ever they need to have to in purchase to get you to signal on. They have to compete with a good deal of other betting outfits and they will guarantee unrealistic profitable percentages and returns. Some of them could even give you bets that have not been effectively investigated. You absolutely do not want this. What you want is a specialist football picks support that will only give you guidelines for game titles the place they have a determined edge. It doesn't subject what the edge is or how it was uncovered. You just want to know that they are only offering you bets that have an edge, because this is the only way to win at soccer in the prolonged operate. Every time an edge is identified, you are heading to acquire primarily based on exploiting that edge. The edge may not previous prolonged and it may require to be pounced on tough at the second. At times the edge may very last more than a longer interval of time in which earnings can be manufactured. In any function as lengthy as there is an edge you can truly feel very good about the soccer betting ideas you are getting. In brief, an edge provides up to long phrase revenue. Sometimes it is ideal to simply request the betting outfits you are likely by means of what sort of edges do they usually occur up with. Of training course they are not going to give absent their secrets, but they can at least give you an idea. The bottom line is when it arrives to soccer betting tips the best suggested bets are individuals exactly where a reliable edge exists. It actually is over and above attainable for you to get the the profitable bets when you are making use of a excellent technique together with your athletics handicapping. But, successful will not happen in each and every particular wager that you make. There will nevertheless be probabilities that you drop the wager at some stage so be sensible and as significantly as achievable, in no way squander your income in excess of much more than five bets daily. Sports activities handicapping are made accessible for the community to obtain only after a total assessment has been created. The web is one good resource for you to obtain applicable and advantageous tips about handicapping. But you need to have to don't forget that even the most successful tip may well have the likelihood to not perform out good in any way. Presently, you can pick amid the a lot of diverse vendors who're pros with regards to sports activities betting picks. Prior to closing any offer with any of these individuals though, you have to 1st determine their capabilities jointly with their legitimacy in doing the occupation. It is crucial that such service provider has currently been in the field for a lengthy time. It's also critical for you to get into thing to consider the remarks presented to them by former consumers. There are some who'd consider to entice you by showcasing free trial intervals. It could possibly be your opportunity to check their capability alongside with their expertise about sports handicapping. Since of the world's economic climate issue, men and women have been consistently searching for methods to gain much more revenue in no matter what way that they can. 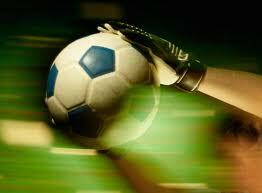 Sports activities betting is one amongst these numerous ways. For most individuals, this form of exercise can provide them the further cash flow that they need to have because it has the potential to return your expense in up to even 10 folds. Athletics betting will certainly be very good expense, provided you have the knowledge and expertise accompanied with a specific amount of cash. You will uncover there are a few who have regarded this activity worthless, but then, if you are undertaking it the lawful way and also if you can really manage to pay out for this kind of, it can be your biggest cash-maker. For the rookies, you could approach a single of the many specialists in the sports betting planet and ask for some support. For these folks who are just not employed to this, you've obtained an alternative to use the providers of an specialist. This is far more sensible compared to possessing to suppose the sports activities betting picks all on your personal. It really is likely to possibly set you back much more cost if you use the sports activities betting picks incorrectly and cluelessly. In time, you'll discover the artwork of sports betting. During that second, you will also be regarded as a expert and you'll have the likelihood to make it big in sporting activities betting. Appropriate that extremely day, you will be in a position to hold your head up large and brace oneself for you are about to make it large in sports activities handicapping world. 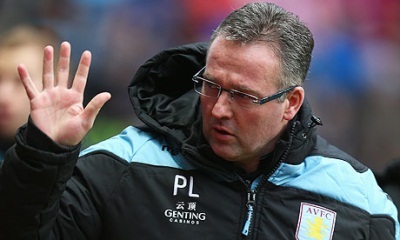 Paul Lambert has made his first foray into the summer transfer market by signing Bulgarian winger Aleksandar Tonev. The deal for the Lech Poznan man will be finalised next week, but the 23-year-old has already spoken of his delight at joining the Premier League club. Tonev: "I am really happy to be part of Aston Villa and I am really proud to be able to pull the shirt on. Aston Villa is a big club and the manager and club have a belief in young players and in the team ethic. Football is not about the individuals. It's a team sport and all successful teams play well together. That's what you can see at Villa, the team is playing together. "I am part of the team now and I am hungry for success. I want to show everybody what I can really do. I have played in front of big crowds before but the atmosphere here in England is unique. The crowd is like a 12th player for the team and I am looking forward to playing in front of the fans. "I can't wait to start and to meet my team-mates and the manager. When I heard about Aston Villa, I thought about playing in the Premier League for such a big club. I wasn't thinking about anything else. "Stiliyan being here wasn't a massive influence on me coming here. Stiliyan and Dimitar Berbatov have done really well in this league and I hope I can do the same. They are both great Bulgarian players and hopefully I can do the same and make my mark on the Premier League. "I have been watching Villa and I know there are some very good players here. I am really looking forward to being part of the team." Liverpool have received a boost with the news that Daniel Sturridge is expected to recover from an ankle injury in time for the new season. The Reds were left sweating when the 23-year-old striker went down injured during his first start for England in a friendly against the Republic of Ireland. However, after having the injury assessed by a specialist, it has been confirmed that Sturridge should be available for the start of the season. 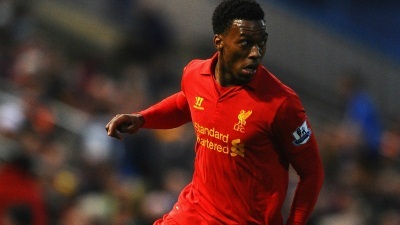 "Liverpool Football Club hope to have striker Daniel Sturridge available for the beginning of the 2013-14 Barclays Premier League campaign. "The 23-year-old picked up the problem while representing England against the Republic of Ireland last Wednesday and was withdrawn during the first half at Wembley. "He suffered a high ankle sprain and Liverpool's medical staff had to allow the swelling to reduce before a final assessment was made. "Sturridge has scored 11 goals in 16 appearances for the Reds since signing for the club from Chelsea at the outset of the January transfer window." The Blues have announced that Brazilian ace Fernandinho has put pen to paper on a deal to bring him to the Etihad. "The 28-year-old has completed a medical and a deal has been agreed with Shakhtar Donetsk for his transfer. "He will wear the number 25 shirt." "“This is a change, a challenge and a chance that I have been waiting a long time for. Playing in the Premier League for City is like a dream. "“My ambition here is to win all the titles, the team here is strong, and so is the greatness of the club and the supporters. Professionally this is a spectacular thing. Playing for a huge club in a huge league makes me so happy. I hope I will be able to repay City for what they have done for me. "“I know I will face challenges but I am prepared for them. Every player at a high level faces pressure and must respond and I am ready for that too. I know a lot about City. Ever since they expressed an interest in me, I have been learning more." The club website went on to say: "The defensive midfielder brings a wealth of UEFA Champions League experience to Manchester with him. He has appeared in the competition with Shakhtar for the past eight seasons. "A box-to-box player with explosive pace and a taste for spectacular long-range shots, Fernandinho began his career with Atletico Paranaense in his homeland. "Fernandinho first wrote his name in lights in 2003 when he scored the winning goal in the FIFA World Youth Championship final against Andres Iniesta’s Spain. "Three years and 72 club appearances later, he opted to join the stable of Brazilians at eight-time Ukrainian champions Shakhtar, which included former City playmaker Elano Blumer and his ex-Atletico Paranaense teammate Jadson. "His breakout year is considered to be the 2007/08 campaign where his excellent performances and 11 goals earned him the Ukrainian Premier League’s Golden Football award for best player and helped Shakhtar to the championship. "The Londrina-born midfielder was also an integral member of the team when Shakhtar claimed their first piece of continental silverware, the 2009 UEFA Cup. 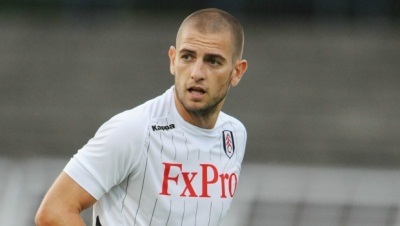 Croatian striker Mladen Petric looks set to leave Fulham this summer, with his likely destination to be move back to Switzerland. Petric started particularly well at Fulham, scoring a brace on the opening day victory over Norwich, which finished 5-0 to the Cottagers. Petric has featured heavily in Martin Jol's team this season and has impressed in his first season playing in England. Petric made 20 appearances, scoring 5 goals as well. Petric played under Jol during his time at Hamburg, and the pair have linked up to good effect again this season. Petric's career began in Switzerland with FC Baden, and after a season, Petric moved to FC Grasshopper where he had arguably the best spell of his career. He spent five years there, making over 110 appearances and scoring 30 goals. Petric then transferred to FC Basel, where he went on to make 72 appearances, scoring 38 goals. Because of his form in his native homeland, Petric began to attract attention from Europe, and since his playing days in Switzerland, Petric has played for Borussia Dortmund, Hamburg and then Fulham. Petric said: "It is true, I have some offers from Swiss clubs. My main goal at this moment in time is to find a club where I will be able to play regularly." But despite Petric's interest in a move back to Switzerland, FC Zurich president Dragan Rapic is unsure whether they or any other Swiss club could afford a deal for the Croatian. "We didn't talk much about Mladen, but we know he is free to leave Fulham so he is an interesting player. But I don't know if we are able to offer him a contract that would be good enough for him," Rapic admitted to Swiss journalists. Stuart Pearce will be without Danny Rose and Thomas Ince (suspension) for the tournament opener with Italy after the pair were banned in the fallout from the racist abuse in the qualification play-off tie with Serbia in October. Wilfried Zaha (ankle) should be fit to play, but will need to nurse a long-standing ankle problem throughout the tournament. Pearce has no other injury or suspension concerns, however, with the likes of Southampton defender Luke Shaw (back), Wigan attacker Callum McManaman (ankle) and Liverpool's Raheem Sterling (thigh) all ruling themselves out before the squad travelled to Israel. Tottenham's Andros Townsend withdrew after being charged by the Football Association for alleged betting offences. Striker Lorenzo Insigne (knee) is the only worry for Italy Under-21 boss Devis Mangia, after the Napoli striker missed training in the build-up to Wednesday's game. 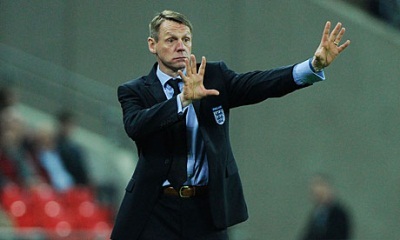 Pearce leads England into what will be their fourth successive Under-21 tournament hoping to make more of an impression than they did two years ago, when they exited at the group stage. In 2009 Pearce’s charges reached the final, losing to old foes Germany, but this year’s squad is weaker than both. Yet there is still talent which can take England into the last four and perhaps beyond. Jordan Henderson is the most senior member of the side and the Liverpool midfielder enjoyed some good moments for his club last season. Wilfried Zaha has just enjoyed promotion with Crystal Palace and the Manchester United man is one of England’s brightest young prospects. 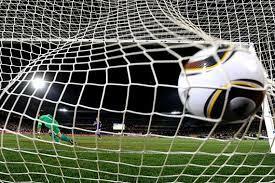 While Steven Caulker has been reliable for Tottenham and goalkeeper Jack Butland is extremely promising. 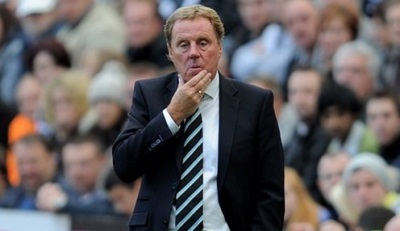 Harry Redknapp has warned that he must be allowed to change the QPR squad or he could walk away from the club. The Rangers manager wants to build a team capable of making an instant return to the Premier League, and he is looking to make former England left-back Wayne Bridge his first signing. Redknapp is keen to speak to club owner Tony Fernandes over bringing in Bridge, whose Manchester City contract is about to expire, but is adamant that he must have the final say over rejigging QPR's playing roster. "If we don't change it, and I don't get the players that I want to bring in, then we have not got a chance," Redknapp declared. "You can't have other people have a say at all, I'm a football person and I've got a staff around me of football people. "We've got to make the decisions, and if we make the right ones we will have a chance. Otherwise, if other people want to make decisions we've got no chance. "If I don't get that then I wouldn't stick around. I'll speak to Tony Fernandes, they've got to back me with the people I want. I'm not asking him to spend money, I'm looking at a couple of free transfers. "I'm trying to get Wayne Bridge, I thought he did fantastically well with Brighton, he'd be a good left-back for us. He's got great experience, looks in great shape and is a player I want to bring in on a free. "I'm hoping that's the first deal I can do. Tony is away, but I'll speak to him today and see if we can get the deal done." 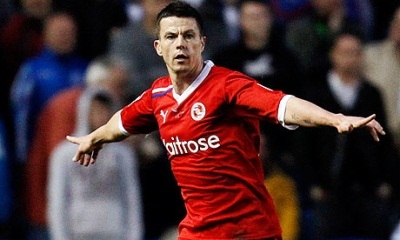 Leeds United manager Brian McDermott has revealed that the club will not be re-signing left back Ian Harte. Harte made 288 appearances when at the Elland Road club before he left to join Spanish club Levante in 2004. The 35-year-old recently worked with McDermott at Reading before the manager was sacked in March. He soon took over at Leeds. McDermottt: “Ian’s one of the most hungry players I’ve ever worked with. He was right in the thick of everything we achieved at Reading, a fantastic asset. Harte has also had spells at Sunderland, Blackpool and Carlisle before joining McDermott at Reading in 2010. The full-back was part of the Leeds team that got to the semi-finals of the Champions League in 2001, as he scored three goals in the European games. Leeds currently have three available left backs as Stephen Warnock and Adam Drury both have 12 months remaining on contract while Aidan White is a third alternative. McDermott also revealed that the Elland Road club have made four bids to bring in players this summer. Roberto Martinez was edging ever closer to a move to Everton after Wigan chairman Dave Whelan confirmed the two clubs have agreed a compensation payment. The Spaniard held talks with Toffees chairman Bill Kenwright last week and a deal has now been agreed to buy out the remaining year of Martinez's contract. Whelan last night told BBC Radio 5 Live: "I've reached some terms with the chairman, Bill, of Everton about six o'clock this evening. "He can now talk to Everton because Bill and myself have sorted the compensation." Martinez had already held talks, with Whelan's permission, but is now free to discuss contract terms. "He'd spoken to Everton because I gave them permission," Whelan said. "When he came back and told me how it had gone, it had gone very well and he was probably in the last two or three on the list. "Then the chairman rang me and discussed the compensation deal with me, and we agreed that this evening." However, Everton responded with a statement on their website in which they insisted no appointment is imminent. The statement read: "In response to regrettable and somewhat premature reports earlier this evening, Everton Football Club are continuing discussions with regards to the vacant managerial position. "Whilst positive moves are being made, the club will officially announce details as and only when they are agreed and completed." Martinez, 39, was linked with the Everton vacancy almost as soon as David Moyes' departure to Manchester United was confirmed. Whelan initially suggested, before FA Cup winners Wigan's relegation from the Barclays Premier League, that Everton were not a big enough club to tempt Martinez away. But he said last night: "Sometimes I wind the chairman up at Everton because we've had some really serious fun and entertainment watching Everton play Wigan. We get on so well together. "When I say things like 'I thought you meant a big football club', I'm winding Bill up. They are a big club, no question. 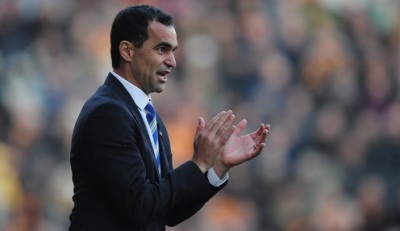 "After leaving Wigan, I think Everton is the next stop of Roberto before he goes to the very, very top. "Everton is run very similarly to Wigan, it's a family-run club, a friendly club with a great bunch of supporters. They're a bigger club than Wigan and it's a super club. "(If he goes) I will say to Roberto - which I've already said, because I had a meeting with him tonight - I will wish him nothing but the very best of luck." Whelan added that he has yet to hold talks with any of the extensive list of applicants for the prospective vacancy at the DW Stadium. "I've not been able to interview anybody," he said. "We've got about 30 people who've applied for the job and I've not been able to interview one of them because of this agreement over the compensation, I didn't want to jeopardise that." Arsenal manager Arsene Wenger maintains that every club would be interested in signing Wayne Rooney should the England striker come on to the market this summer. Rooney's future at Old Trafford is uncertain after David Moyes, his former manager at Everton, succeeded Alex Ferguson, who had dropped the forward as a result of him handing in a transfer request. The England international, who netted a fine goal in Sunday's 2-2 draw against Brazil in the Maracana, struggled for consistency last season, when he played second fiddle to Robin van Persie following the Dutchman's £24m arrival from Arsenal. Wenger has a £100m war chest to spend as he looks to make the Gunners title contenders once again. Funds at the Emirates have been boosted by new sponsorship deals and the impending departure of several surplus players like Andrey Arshavin, Marouane Chamakh, Nicklas Bendtner, Sebastien Squillaci, Korean forward Park Chu-young and Denilson. While Arsenal would certainly need all of those resources to land Rooney (27), in terms of a transfer fee and personal terms, Wenger indicated that for such a talent it would be worth the effort. "Rooney could be an interesting player for everybody in the world, who would turn him down?" said Wenger. "David Moyes' first challenge is to go in to Manchester and bridge the gap between him and Rooney. "If that is feasible or not depends on his personality and if Rooney bears a grudge or not, we will see that. You always face challenges like that as a manager. It will be interesting to see how that will be handled." Wenger has already begun his summer rebuilding plans, pushing through a deal for France U-21 forward Yaya Sanogo on a free from Auxerre, and is tracking Real Madrid frontman Gonzalo Higuain along with Celtic midfielder Victor Wanyama. Swansea centre-back Ashley Williams and Borussia Dortmund defender Lukasz Piszczek are also reported targets should Wenger decide to overhaul the rearguard again in the summer, although captain Thomas Vermaelen has vowed to stay on and battle for his place in central defence. "We are a club that every summer sees one or two players come in, but we still find ourselves needing to replace someone and it is always difficult," said Wenger. Jesús Navas is set to become the first signing of the Manuel Pellegrini era at Manchester City. The Sevilla and Spain right-winger is on the verge of completing a deal that will take him to England for an initial €20m (£17m) fee, plus a further €5.5m based on performance, of which the Spanish club believe that €3.5m are virtually guaranteed. The length of his contract and his salary are not yet known but sources suggest that he will earn more than double the amount he did in La Liga, where he was reportedly on €2.5m a year. Navas will travel to the Confederations Cup with Spain a City player. Following Sevilla's final game of the season on Saturday night the club's manager Unai Emery admitted: "All the signs are that Navas will leave." He added: "It is the best thing for Navas and for the club." Asked about his future, Navas responded: "I am open to anything and I want to win titles. City is a team I like a lot." Now, the deal only awaits the final signatures. The 27-year-old believes he is now ready to move abroad having fully overcome the anxiety attacks that marked the early stages of his career. His initial introduction to the Spain squad was delayed because of the problems he encountered when leaving his native Seville, but with the club and the national team working with him he was a successful part of the selección at the 2010 World Cup in South Africa and at last summer's European Championships in Ukraine. He has won 23 caps. Navas will bring City pace on the right wing, the ability to take on full-backs and deliver telling passes. He has provided 79 clear chances in the Spanish league this season, the fifth highest total in the country. His signing is an intriguing one, not only because of the need to adapt to Manchester but also because Pellegrini has rarely played with out-and-out wingers in the past, usually preferring his "wide" men to come inside. Navas could undergo the kind of evolution that Joaquín experienced under Pellegrini at Málaga, encouraged to move towards the middle and ending up playing behind the striker. His game has also been altered slightly in his final season at Sevilla, becoming involved in more central positions in the absence of a natural playmaker. The 50-year-old Portuguese coach travelled to London today to complete the formalities of a return to Stamford Bridge after his exit from Real Madrid was confirmed. Mourinho will bring assistant coaches Rui Faria, Silvino Louro and Jose Morais to Stamford Bridge and they will work alongside current first-team staff Steve Holland, Christophe Lollichon and Chris Jones. Chelsea's new boss can quickly fire the west London club back into being a "major force" in the Barclays Premier League and Champions League next season, according to former Blues defender Ron Harris. Harris - who made more than 600 appearances for Chelsea between 1961 and 1980 - is in no doubt Mourinho can push the club back into contention for a first Premier League title since 2010. "If you have a look at every club Jose has been to, he has always been successful," Harris told Press Association Sport. Roy Hodgson insisted his England side deserved their 2-2 draw against Brazil - a result secured by superb goals from Wayne Rooney and Alex Oxlade-Chamberlain in the Maracana. England survived a first-half mauling by Brazil, who had 30 shots - 20 at goal - while the visiting side managed eight in response, seven of which were on target. Brazil had taken the lead through Fred, before England stunned the Maracana crowd to go 2-1 in front, before Paulinho’s outstanding volley levelled the scores. 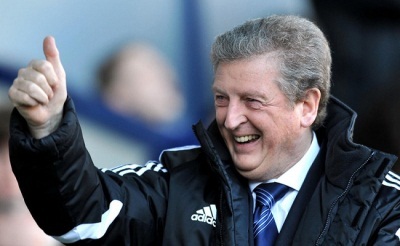 Hodgson said: “The simple answer is that I do think we were well worthy of the draw. “I was delighted with how we kept ourselves in the game and didn’t capitulate despite them being clearly better than us in the first half. “In the second half we were every bit as good and we should take lot of credit for that. The shot statistics weren’t raved about in Ireland game - the complaint was that we didn’t win. “Most teams, managers and coaches know that when you come to Brazil and play them they will have more of ball and create more chances. The question is if you can deal with it and come away with a result and that’s what we did. “The clever money would have had us struggling to get any sort of result, not least because of the trip and being down to the bare bones with injuries. Hodgson said he would love to return for the World Cup and be based in Rio but knows there are tough qualification games ahead. England are currently second in Group H, two points off leaders Montenegro, who they must face at Wembley. West Ham manager Sam Allardyce is set to continue his summer spending by bringing Real Betis goalkeeper Adrian to East London. 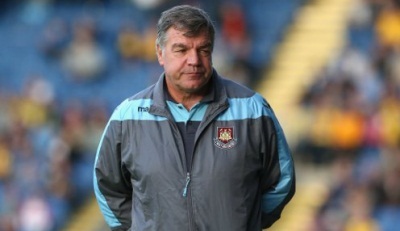 Despite current number one Jussi Jaaskelainen recently signing a one year contract extension, Allardyce is keen to add competition to that area of the pitch after the former Bolton stopper blew hot and cold on his first season at Upton Park. Adrian has become one of the top goalkeepers in Spain and La Liga clubs Espanyol and Getafe are also tracking his progress ahead of making summer bids. West Ham scouts travelled to Levante to scout the stopper for the final time ahead of making their own bid which could be significantly less than expected due to Betis’ woeful financial state. Allardyce has back up options in the goalkeeping market though as Besiktas’ Alan McGregor and Aston Villa’s Shay Given are both available and on his radar. Manchester United's Phil Jones will line up against Brazil at the Maracana on Sunday in an England team captained by Frank Lampard, manager Roy Hodgson has confirmed. 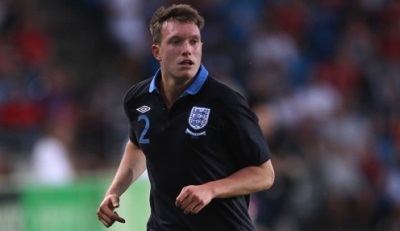 Jones has six England caps to his name but Hodgson would not confirm whether his seventh would come in the role of central defender, his preferred position, or that of a holding midfielder. The versatile 21-year-old came off the bench to play at right-back against the Republic of Ireland in midweek and Hodgson is now ready to start him against the five-time world champions. "He'll play, yes he'll start," confirmed Hodgson, who stopped short of naming the rest of his starting XI, save to confirm that Lampard would be skipper after he passed the honour to Chelsea team-mate Ashley Cole against Ireland. "Frank is captain - but I'm not going to say any more on the subject of formations." Injuries to strikers Daniel Sturridge, Danny Welbeck and Andy Carroll have left England short of options for Sunday's eagerly anticipated clash - and Hodgson claims the national side is suffering from a lack of depth in attack. "It's fairly obvious to everyone that one of the areas where we've been unfortunate is in the choice of front players and the availability of front players," he said. "Certainly three of the front players I would like to have taken here with me have not been available for selection. We would like a stronger pool of front players to choose from, so that when one or two get injured we have still got some left. "But I'm afraid that I manage England, I don't manage other countries, and that's what we have in England. If you look at the Premier League, most of the strikers are foreigners. But there's nothing we can do about it. We pick from the players that we have." Manchester United striker Wayne Rooney looks certain to start up front, but the interesting decision will be who plays alongside him, with Jermain Defoe and Theo Walcott in the frame. "One option is Defoe and Rooney or even Walcott and Rooney," Hodgson added. "The other option is to play Wayne or one of the others up there on his own and bring someone extra into the midfield. We want to keep our wide players like we had the other night." 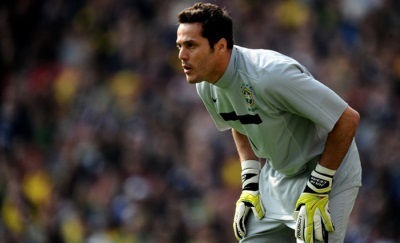 Julio Cesar is still grateful to Queens Park Rangers for signing him last northern summer even though it was relegated. Cesar and a number of other expensive imports signed for QPR amid great fanfare, but Mark Hughes and then Harry Redknapp failed to get the team to gel and it was relegated to the Championship two weeks ago. Given that Cesar won five Serie A titles and one UEFA Champions League, he could be forgiven for having bad memories of the west London club, but he has not forgotten it was the club which rescued him from a miserable end to his career at Inter Milan. "I had a wonderful year, individually speaking, regardless that the collective is not what I expected," Cesar told a press conference. "I was caught by surprise and my career took a bad turn at Inter and QPR were the only club that came for me and helped me at that moment." Cesar is part of the Brazil squad which will face England on Sunday evening (local time) in the first game since the Maracana re-opened its doors after a £300 million ($476.3 million) revamp. Cesar, who has been strongly linked with Arsenal, will want to impress any suitors watching on and he is also keen to establish himself as Luiz Felipe Scolari's number one ahead of next year's FIFA World Cup. "If I am world champion (in 2014), I will be able to end my career with a flourish," he added. Scolari is likely to deploy Neymar up front for the clash in the Maracana alongside Fred, who should be fit despite a rib injury. Barcelona won the ultra-competitive race to sign Neymar last week when it announced it had come to an agreement with the forward's current club Santos. Many players have failed to make the grade after swapping South America for Europe, but Cesar thinks the highly-rated 21-year-old will have no problem adapting to life at the Nou Camp. "He will be well advised, he will understand the pressure on him and he won't worry about playing, he will just enjoy it," he said. "He will go to Barcelona and demonstrate what he can do and get the merit. "I cannot remember a player who has had so much international respect from playing in Brazil." Newcastle will fight tooth and nail to hang on to top scorer Papiss Cisse despite interest from several top Russian clubs. Mega-rich Anzhi Makhachkala, who are set to appoint Brazilian legend Roberto Carlos as Gus Hiddink's successor, want to sign the striker who knocked them out of the Europa League with a stoppage time winner at St James' Park last season. They are not alone in showing an interest in the Senegal international, who joined Newcastle from Bundesliga side Freiburg in a £9m deal over two years ago. 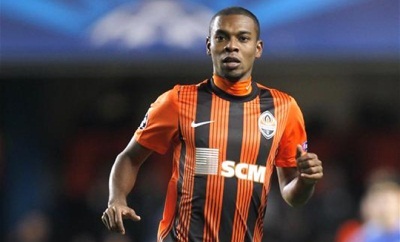 Anzhi, who include Samuel Eto'o in their ranks, are ready to pay £15m for the African and double his wages. But Newcastle chief Alan Pardew wants to keep Cisse and sign two strikers to complement him. West Brom forward Shane Long and St Etienne hitman Pierre-Emerick Aubameyang are both on his shopping list. Newcastle are also weighing up a move for Derby's teenage ace Will Hughes. Harden Arsenal, Liverpool and Manchester City have all been monitoring the 18-year-old midfielder who had a stunning debut season at Pride Park. If Newcastle do harden their interest and win the race for his signature, they could be willing to loan the England Under-21 international back to Derby next term. After last term's brush with relegation, Toon owner Mike Ashley has promised to back Pardew in the transfer market. However, Russian interest in Cisse, 27, will concern the Newcastle boss. Russian agent Nickolay Guido said: "I don't want to name names but a lot of clubs here have shown an interest in Cisse." The striker made a great start to his Toon career, with 13 goals in 14 games. But he struggled to rediscover that form last season, scoring four times in the Europa League and just eight times in the league. Rio Ferdinand has delivered a damning verdict on the state of English football and believes any improvement could be years away. Former England striker Gary Lineker sparked the debate, labelling Roy Hodgson's 4-4-2 formation against Republic of Ireland as being from the 'dark ages'. Ferdinand weighed in on the eve of the latest big test of England's progress against fivetime World Cup winners Brazil tomorrow. The Manchester United ace claimed foreign players are technically better than their English counterparts. And the 34-year-old - who quit international football in May - reckons things won't improve until the country's kids start getting better coaching. Ferdinand said: "[In the] last 10 years when have England played consistently well? A coaching strategy for our young teams/kids needs to be implemented to see change. "In most Premier League teams retaining the ball is done best by foreign players in the team.... they are taught to pass to a man with a man on." 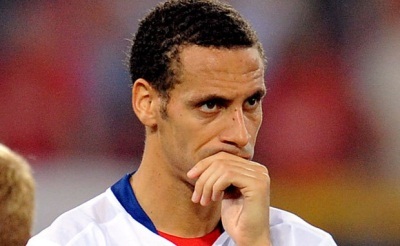 Ferdinand also admitted the Golden Generation he was part of weren't all they were cracked up to be. He added: "[The] so-called 'Golden Generation' obviously wasn't because we won nothing! Great players don't always make great teams." But last night England striker Jermain Defoe brushed aside the criticism. "If that's going to hurt you then you're a weak person," he said. "Everyone has their opinion, that's life. Gary Lineker's a legend, he's a Spurs man. I respect him as a forward. "I'm not having a row with Rio - he's my mate, he's my friend and I love Rio. "If he feels that way then he does." And FA chairman David Bernstein told Ferdinand he should know better. "Rio Ferdinand should know that we are putting a huge amount of work into that (youth development)," he said. "They are not producing the results yet but they will do. I am sure when he reflects on it Rio and others will appreciate that this is happening, it's not talk about what might happen. It is happening."